Amandla Stenberg stars in "The Darkest Minds" as Ruby, a young woman with telepathic powers, in a world where 90% of the world's children have been killed by a mysterious virus. Now, adults look at the surviving, superpowered children with terror, and a group of mismatched teens have to go on the run to survive. Harris Dickinson ("Trust"), Skylan Brooks ("The Get Down"), Mandy Moore ("47 Meters Down"), Gwendolyn Christie ("Game of Thrones") and Bradley Whitford ("Get Out") co-star in the live-action debut of director Jennifer Yuh Nelson ("Kung Fu Panda 3"). 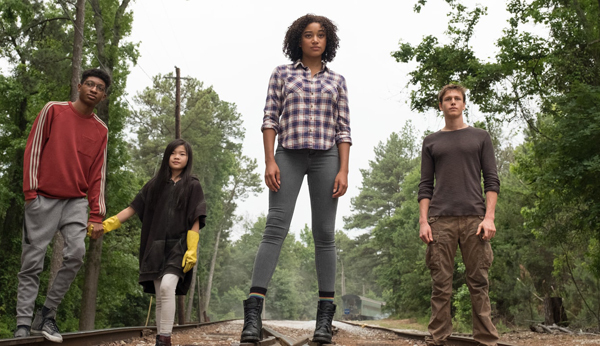 In his review at The Wrap, William Bibbiani praises "The Darkest Minds" for being "fierce" and "a clarion call to arms" for young, burgeoning activists, but critiques the film's "efficient" direction for making it feel "more like a manifesto than a sci-fi thriller." Good one! I just have to finish watching shows by Andy Yeatman Netflix with my kids and then I am planning to start watching some new thriller series. This seems nice, I have also added ‘suits’ to my watch list but I will miss watching these shows because of the entertainment and education level.